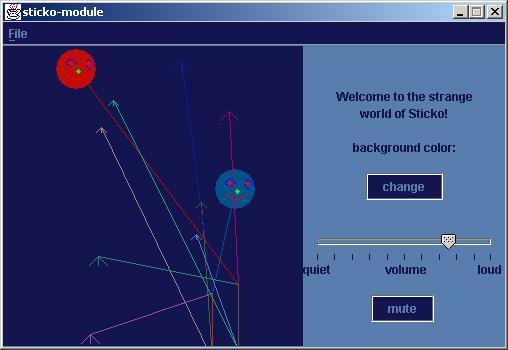 disc-o was a collaborative software project with Jason Freeman created for the JPMorgan Chase Kids Digital Movement and Sound Project. 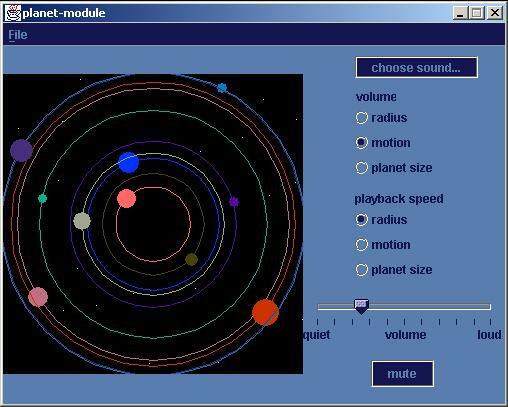 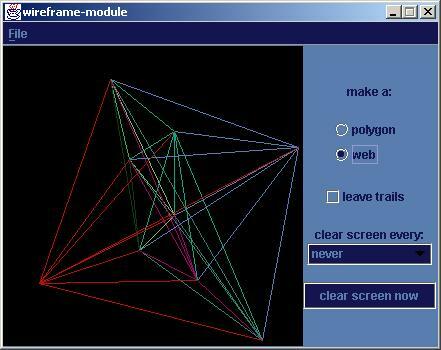 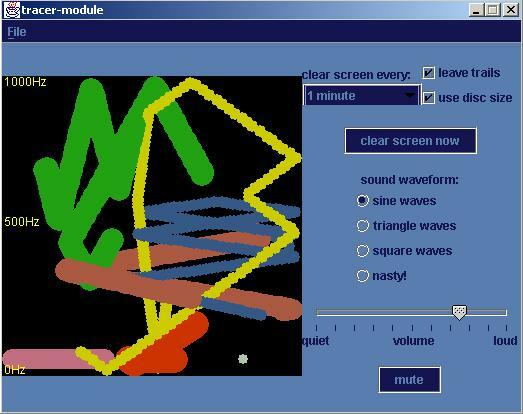 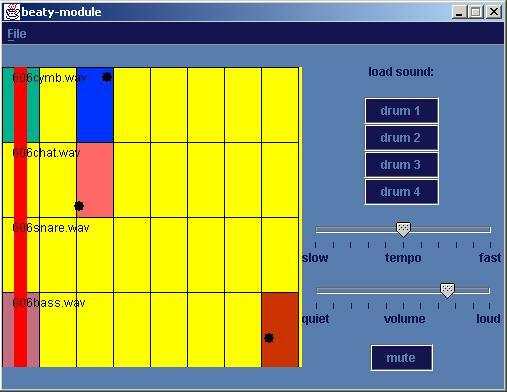 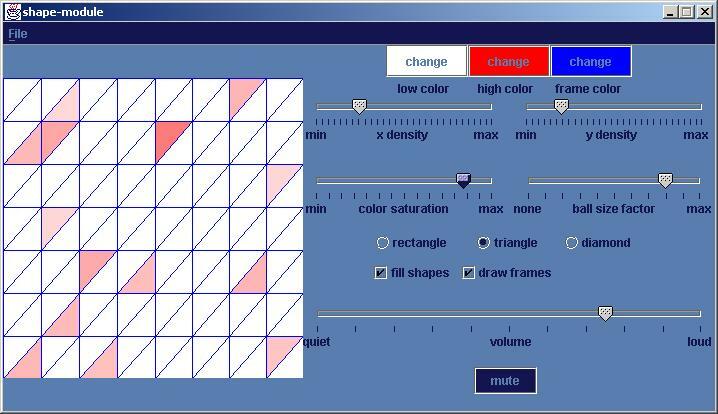 It's a set of software programs ("modules") that modify sounds and images via a computer simulation of a physical system. 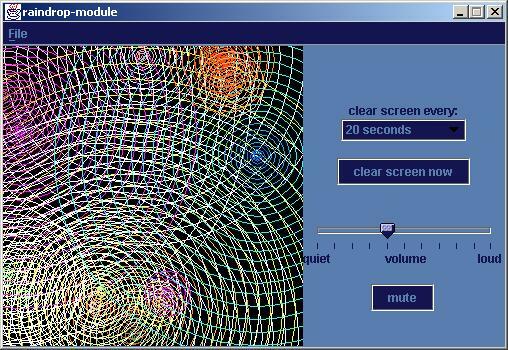 The simulation allows users to play with a set of magnetic discs that float on water. 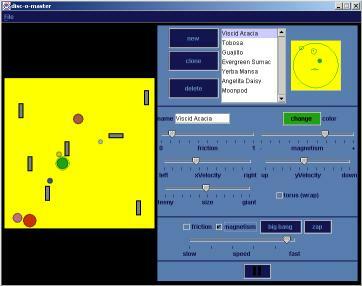 They can add and remove discs, change their appearance and behavior, and change the properties of the world itself. 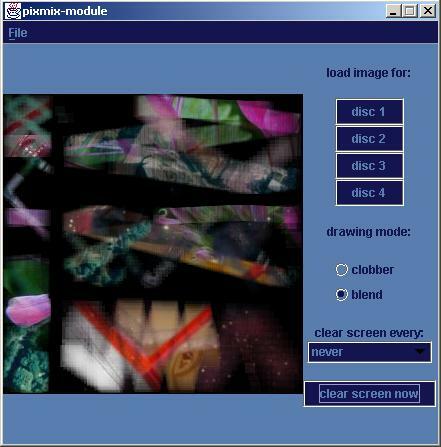 They can also use a set of sound/image creation modules to transform the motion of the discs into music and art. 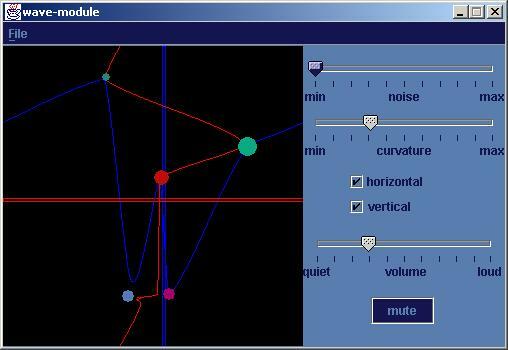 Another interesting aspect of disc-o is that several users can log in to the same simulation via the internet, allowing users in different geographical locations to interact with each other.